Police driver Rashid struck Arsalan’s head with a pistol and officials bundled the bleeding boy into the van, where he collapsed and died. 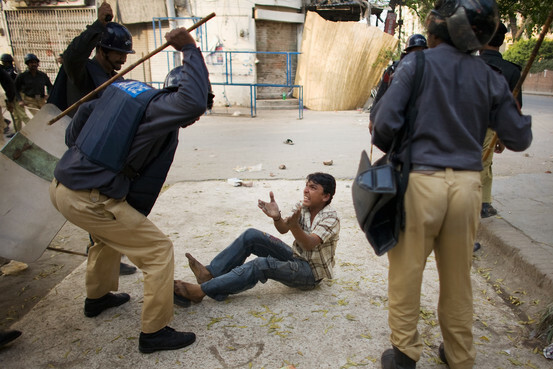 SHEIKHUPURA – A teenage boy has died after receiving severe beating allegedly by Punjab police. The incident took place on Monday in Jhabran Mandi, just outside a private coaching center, where he was a student of eighth grade. According to the first information report, lodged by his father Mushtaq Masih, Arsalan was attending his tuition classes at the Ideal Science Academy when police official came there and dragged Arsalan out of classroom. The officials were from Bahu Chowk police post and included hawaldar Imtiaz, driver Rashid, constable Arshad and razkar Robin with an unidentified razakar and a police official. Sardar Billu, who came with the officials, helped them to identify the boy. With this, they all started beating the boy. The teacher at the academy, Farhan Ali, tried to resist the raid but was shoved by officials, who kept beating the young boy. Driver Rashid struck Arsalan’s head with a pistol and officials bundled the bleeding boy into the van, where he collapsed and died. Later, the alleged killers threw the body by the roadside and fled.